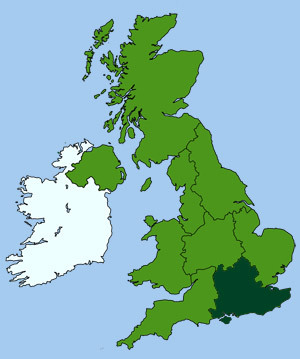 Maidstone's geographical location has ensured its place as a natural market town, through which fruit and vegetables from the surrounding countryside (the veritable "Garden of England") have been transported since medieval times, to feed the population of London. The countryside around Maidstone is also a main source of hops for the brewing of beer. Weaving and related crafts were once prevalent during the 16th century, after Flemish refugees from religious persecution settled there. Maidstone was also famous for its linen thread up until the 19th century. When the industry declined the flax fields were turned over to hops, while the water-driven textile mills, such as Barcham Green's Mill at Tovil, were converted to paper manufacture, once also a major local industry. The River Medway runs through the centre of Maidstone town, linking it with Rochester and the Thames Estuary - once providing a major route for much of the town's trade. Today it provides pleasant walks along its rejuvenated towpath, all the way from Tonbridge to Rochester, known as the 'Medway Valley Walk'. The walk follows the river as it winds its way through Kent's orchards and hop gardens. A well-maintained and sign-posted footpath network also provides access from the towpath further out into the surrounding Kent countryside. 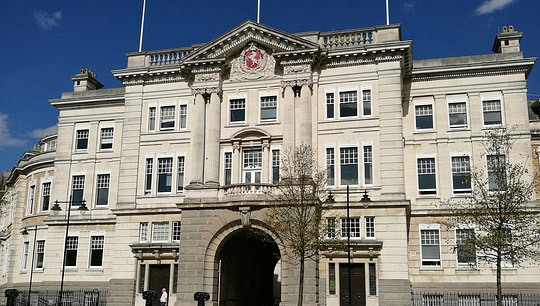 Despite Maidstone's extensive modern development, the town has retained many handsome and historic buildings including the Manor House or Archbishop's Palace, located beside the Medway. It dates from the 14th century, although extensively altered by later owners. In its heyday the clergy used the palace as a resting place during their many journeys between London and Canterbury. The present building is now used for public and private meetings. Next to the palace is the Church of All Saints, circa 1395, which has one of the widest naves in England. In the same group of buildings is the 14th century College of Secular Canons, now the Kent Music School. Across Bishop's Way, is the early 15th century Archbishop's Stables, which contains a carriage museum. Other medieval buildings include the 14th century bridge over the Len in Mill Street, and the 15th century Corpus Christi Hall in Earl Street, originally the headquarters of a religious guild and later the grammar school. Located just north of the town centre, it was once the home of Sir Thomas Wyatt, a 16th century poet who takes credit for introducing the sonnet into English poetry. It was built in	the 13th century on a site occupied	since Roman times. The castle is currently a private residence and not open to the public. The castle can be seen from the public pathway along the River Medway. 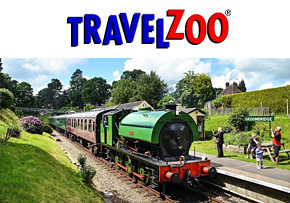 An award-winning open air museum that is home to a variety of heritage buildings, which house a wide range of exhibits on life in Kent, spanning the past 100 years. The site includes a barn, granary, hopper's hut, oast houses, Kentish cottages, farmhouses and shepherds huts, complete with orchards and gardens. Housed in the historic Chillington Manor, a particularly fine Elizabethan residence, once belonging to the Wyatt family. The museum houses an outstanding collection of fine and applied arts, including watercolours, furniture, ceramics and an interesting collection of Japanese art and artifacts. The museum of the Queen's Own Royal West Kent Regiment is also housed here. The museum is located within a restored 14th century stable (part of the medieval Archbishop's Palace complex) and tells the history of horse-drawn and other non-motorized transport. A unique collection of horse-drawn vehicles and transport curiosities are on display, from grand carriages to ornate sleighs, antique sedan chairs and Victorian cabs. Facilities: Parking (50 metres), shop.